Perfect for a summer barbecue, these lamb kebaps (aka kebabs) with a tasty onion-juice and oregano marinade come from TV presenter Maeve O’Meara’s new cookbook Food Safari: Earth Fire Water. The book features more than 200 recipes plus stories from the past three seasons of SBS’s Food Safari, including dishes from Asia, Europe, the Americas and the Middle East grouped together in three sections headed Earth, Fire and Water. This kebap recipe, from Fire, was contributed by Turkish-Australian chef and restaurateur Somer Sivrioglu. Delicious and easy to make, this kebap features tender lamb and a fabulous marinade. The use of onion juice to marinate is very popular in Turkey and Afghanistan, and adds an incredible flavour. Clean the fat from the outer cap of backstrap if needed, and cut the lamb into 4cm cubes. Pick the oregano leaves and lightly bruise them to get the aroma out. Set aside. Pulse the onions in a blender. Put the onion purée into muslin (cheesecloth) and squeeze all the juice into a mixing bowl. Discard the onion pieces. Add the lemon juice, oregano, apple vinegar, olive oil and garlic. Add the backstrap cubes and coat in the marinating mixture, cover and keep in the refrigerator for 6–12 hours. Preheat a barbecue hotplate or light a charcoal barbecue an hour before cooking, to cook on embers. Mix a seasoning of the cumin, black pepper and sea salt. Cut the bullhorn peppers into 4cm cubes. Remove the lamb from the marinade, and using a flat metal kebap skewer, place 1 piece of lamb, 1 piece of pepper and some onion alternately to make four skewers in total. Sprinkle with seasoning. Cook for 5 minutes on one side and 3 minutes on the other. Rest for 5 minutes and serve with yoghurt, bulgur pilaf and iced purslane salad. 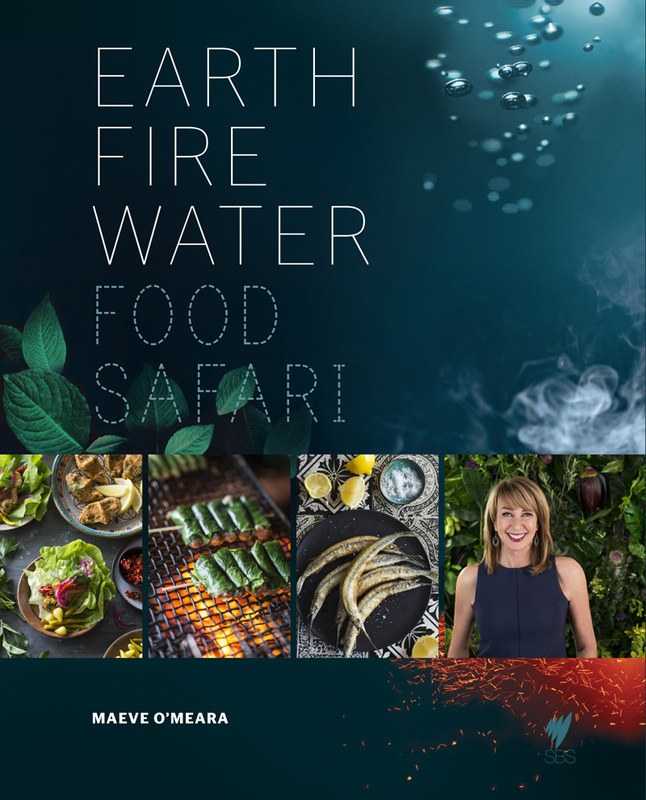 This is an edited extract from Food Safari: Earth Fire Water, by Maeve O’Meara, published by Hardie Grant Books, RRP $60.